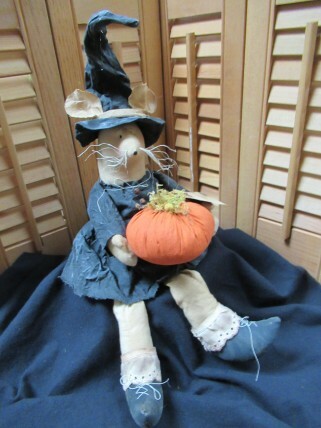 This mouse measures approximately 15 demanding on how her hat is bent. She is made from coffee stained muslin and her clothes are painted muslin. A lot of details including her eyelet trimmed boots. 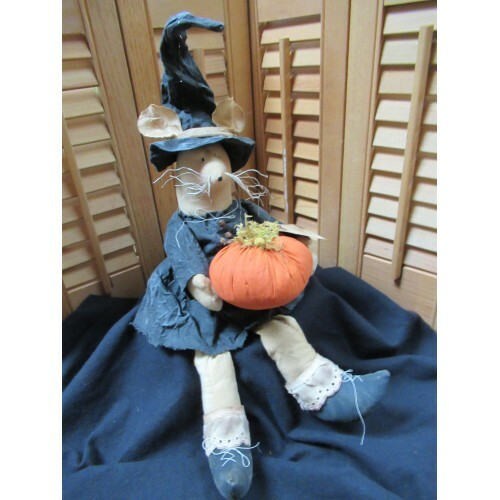 Her little pumpkin is painted muslin topped with a bit of moss. Her little tag read "Happy Harvest". She has become a top seller! !